Gary J. Sharbuno, 65, of Brown Deer died at his residence Sunday, October 20, 2013. He was born in Beaver Dam, Wisconsin on November 12, 1947 to Harold and Leona Lafond Sharbuno. The family moved to Port Washington when Gary was young and he attended St. Mary’s Grade School and graduated from Port Washington High School. He enlisted in the United States Coast Guard serving as a Radio Man until his discharge in 1970. Gary married Barbara Husting of Port Washington on October 6, 1973 at St. Peter of Alcantara Catholic Church in Port Washington. The couple moved to Milwaukee and Gary continued his education, receiving an Associates Degree in Broadcast Engineering. He worked for WMVS, Channel 10 as a recording and sound engineer for 33 years until he retired in 2007. He traveled through work to do the sound for shows like Tracks Ahead. When he wasn’t working he could often be found at his ham radio. He enjoyed football, especially the Badgers, Packers and Notre Dame, golf, fishing, camping and the outdoors. When taking the family on a camping trip, he was lovingly referred to as the ‘activities director’. He loved spending time with his family, especially the grandkids. 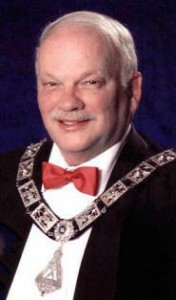 He was a proud member of the Benevolent Protective Order of the Elks, Lodge 46 in Milwaukee and the Ozaukee Radio Club. Gary is survived by his wife Barbara, daughters Lynne (David) Preston of West Allis and Wendy (Neil) Trester of Mukwonago and grandchildren Brandon, Kimberly and Anthony. He is further survived by his brother Gordon (Sally) Sharbuno of Port Washington and Wayne (Janet) Sharbuno of West Bend, other relatives and friends. The Reverend Patrick Wendt will celebrate Mass of Christian Burial 6:30 pm Friday, October 25, 2013 at St. Peter of Alcantara Catholic Church, 1800 N Wisconsin Street, Port Washington. Visitation 3:30 pm to 6:30 pm Friday AT CHURCH. Interment St. Mary’s Cemetery.